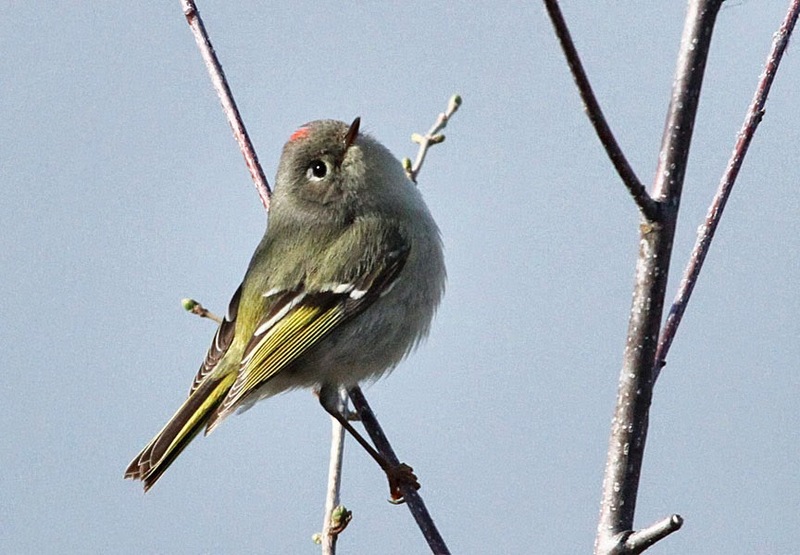 One of the smallest songbirds, the ruby-crowned kinglet has been singing up a storm this spring. His song starts out with 4 or 5 high pitched notes, followed by a warbling repertoire of sounds that only gets louder as he sings! 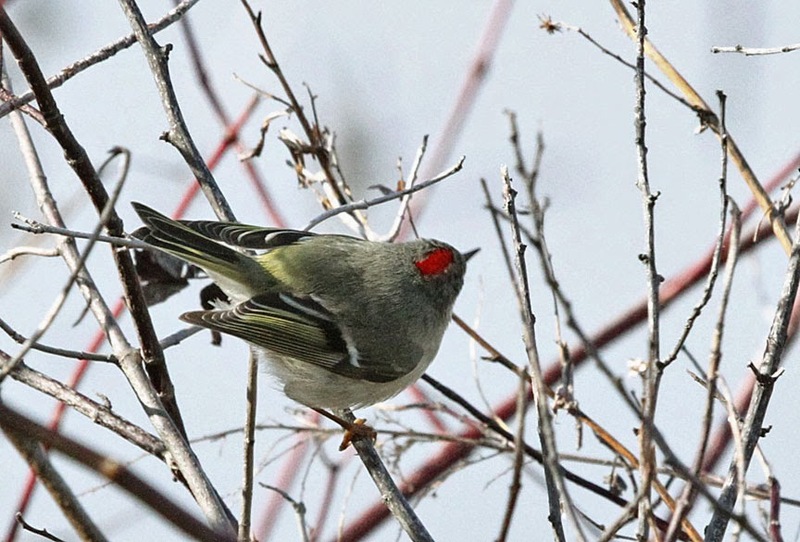 Our other kinglet, the golden-crowned (click on the link to read my posting), is around in the winter. Only hummingbirds are smaller than these songbirds. 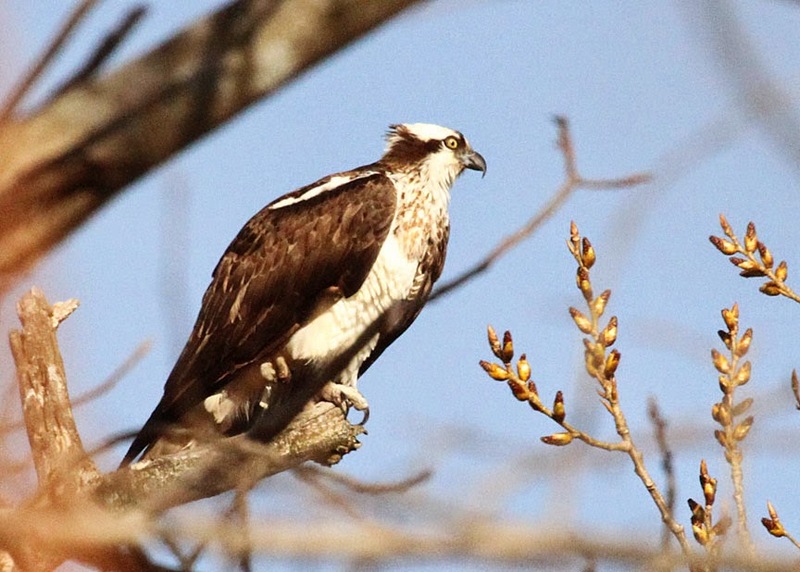 Herrick's Cove is a favorite stop for osprey, where they can be observed hanging in the air or "kiting" over the water, then diving, feet first, for a fish. 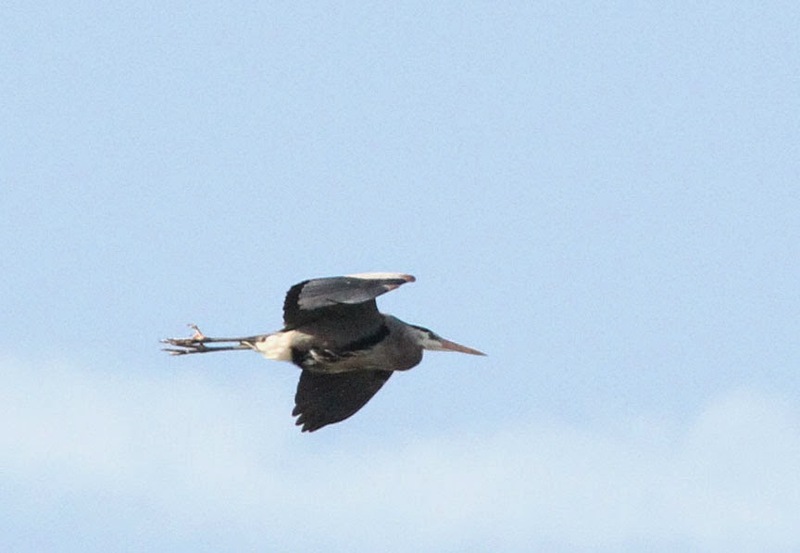 Another common bird is the great blue heron, showing how he tucks his long neck when he flies. Here's a cool fact about buffleheads; they nest almost exclusively in holes excavated by Northern Flickers and, on occasion, by Pileated Woodpeckers. 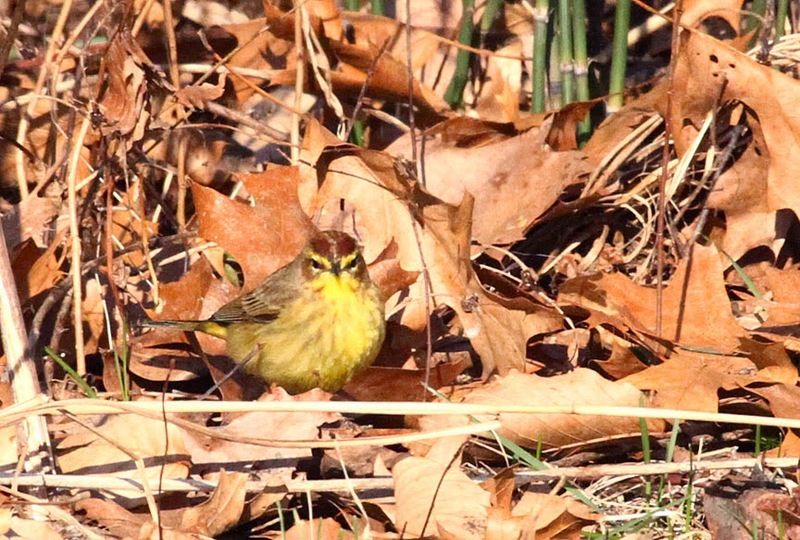 Palm warblers are quite common in the spring, with their rusty colored caps and habit of bobbing their tail. 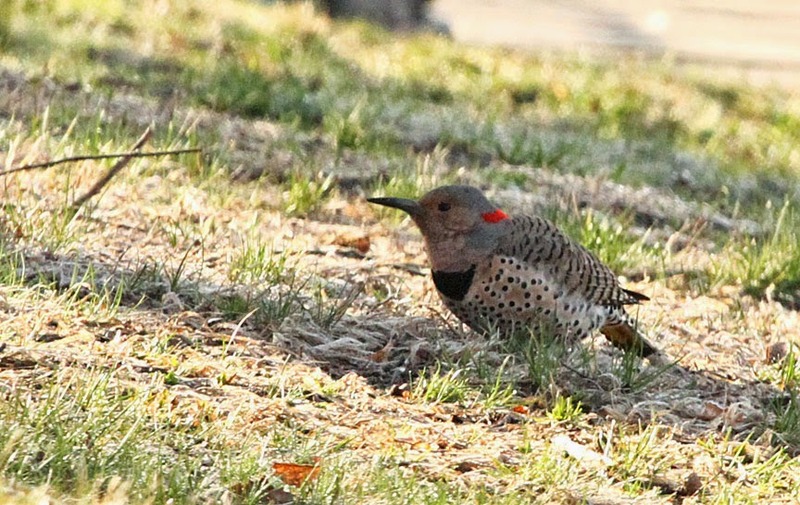 This flicker is probably looking for ants, its preferred food.